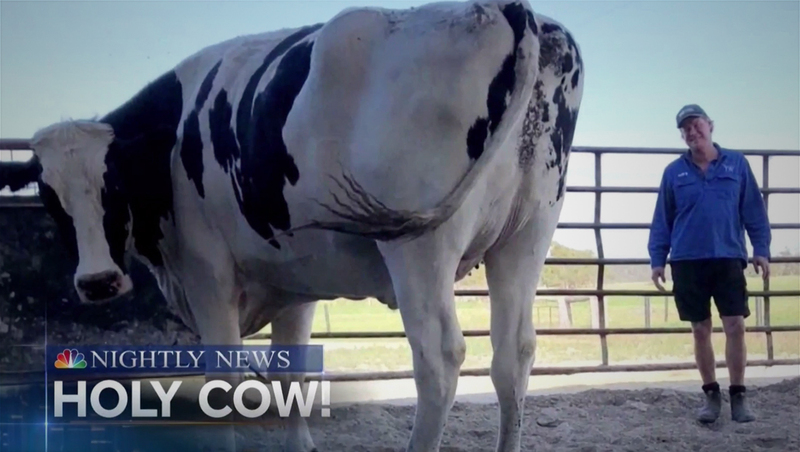 After Knickers the giant cow took the Internet by storm, “NBC Nightly News” couldn’t resist milking the story for all its worth. The network featured a short package from NBC’s Kristen Dahlgren on its Wednesday, Nov. 28, 2018, edition that was full of cow puns. At the end of the story, “Nightly” anchor Lester Holt lamented that Dahlgren “took all the good puns” — though the network missed quite a few by our count — ranging from “chewing the cud” to “udderly big” to “moo-ving over” and more.